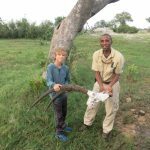 The right age to bring a child on safari depends on the individual, but in general we find that kids age 8 and over get more out of the experience and are better able to cope with long flights and jet-lag. That being said, a safari can be an exciting and adventurous experience for all ages. No teenager will eye-roll when they see an elephant for the first time and if you have younger children, fantastic – the action starts just as they get up at 6 am! 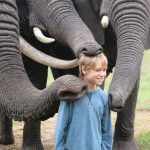 Where should I go on a family safari? South Africa is a popular destination as there are malaria-free options if you don’t want to give your kids medication, and plenty of choice as far as safari accommodations are concerned – most lodges and camps are child-friendly as they cater to a large domestic market. Some of the smaller, private wildlife parks and concessions are perfect for those traveling with younger children (even young teens) and you will see a lot of varied wildlife in a relatively short amount of time. Check our our Cape and Kruger itinerary. Kenya is an excellent family-safari destination with a good network of flights linking all the major national parks and thus limiting long road transfers. You can also easily add some extra beach time as there are flights operating from the Masai Mara straight to the coast. A visit to the David Sheldrick Elephant Orphanage and Giraffe Center in Nairobi makes for a wonderful start or end to the trip. Namibia makes for a wonderful family safari destination as it not only has excellent wildlife viewing, but fun sand dunes and a magnificent coast-line with shipwrecks and seal colonies. The roads are good too, but the distance between places of interest is significant so unless you have children who don’t mind long drives it’s best to opt for a flying safari. If you have an elastic budget, try one of Wilderness’s flying safaris to get around. Botswana does not require a lot of driving since many safaris are fly-in, but most include traditional canoe rides through the delta region that prohibit kids under the age of 16. Many lodges and camps also require families with children under 12 to book their own exclusive-use vehicle, adding around $500 per family per day to an already expensive destination. That being said, there are some wonderful options for families – check out our Heart of Botswana itinerary. Zimbabwe has fabulous wildlife viewing and you can include a trip to Victoria Falls, which is particularly good for families due to the variety of activities suitable for all ages. The adventure activities – such as white-water rafting and bungee jumping – are very popular with teens and young adults. Gorilla tracking in Rwanda and Uganda has become very popular in recent years, but children under the age of 15 are not allowed. That’s no reason to discount these destinations though, as you can arrange a babysitter in Uganda while you go trekking and kids can get involved in other activities such as horseback riding, visiting local schools and meeting Pygmy communities. Rwanda also has activities that don’t involve trekking, although younger children may find learning about the genocide upsetting. 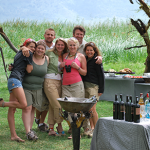 Why do safari camps and lodges have age restrictions? Most lodges don’t allow kids under 8, 12 – or at all. This is often simply because at an all-inclusive safari camp or lodge your game activities will be shared with other guests. Everyone pays a premium price for a safari, and a honeymooning couple is unlikely to enjoy your younger children as much as you do! Safety is key, many lodges and safari camps are unfenced and animals roam right through them day and night. Vehicles are usually open on all sides, with the danger that younger children could fall – or jump! – out. 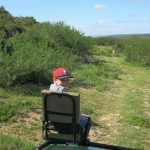 Most significant is that game drives require a lot of patience and the ability to keep still when approaching wildlife, and younger kids may struggle to keep quiet when required. How can I ensure everyone is happy on safari? Stay in a family-oriented lodge that offers special drives for children or baby-sitting options, plus dedicated kids’ menus and earlier dining times. Ask us about which lodges and camps are truly family-friendly, with quality programs that will entertain and educate your younger ones while you get time to yourselves. Activities can include bug collecting, dung identification, treasure hunts and soccer games with lodge staff. If you want to enjoy activities with your kids, mix up game drives with other activities, such as nature walks, horseback riding and cultural interactions. 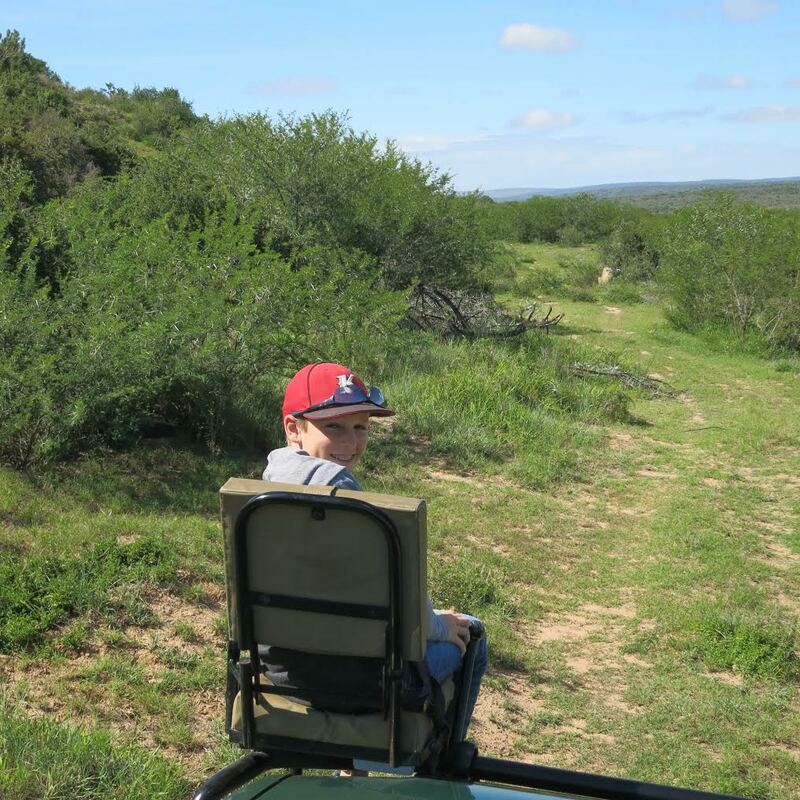 If older kids are accompanying you on game drives, buy them their own camera (phone cameras are too tempting if you want them off their screens) and make sure everyone has binoculars. You can also award points or prizes for spotting birds, insects and wildlife, or have a bird or animal checklist to mark off. 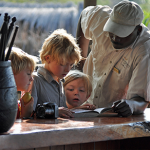 Are you thinking of taking a family safari? We have lots of experience booking safaris with kids of all ages, so contact us for more information.